You are here: Home / Family Chat / Just Let them Be Eaten by Bears! Just Let them Be Eaten by Bears! 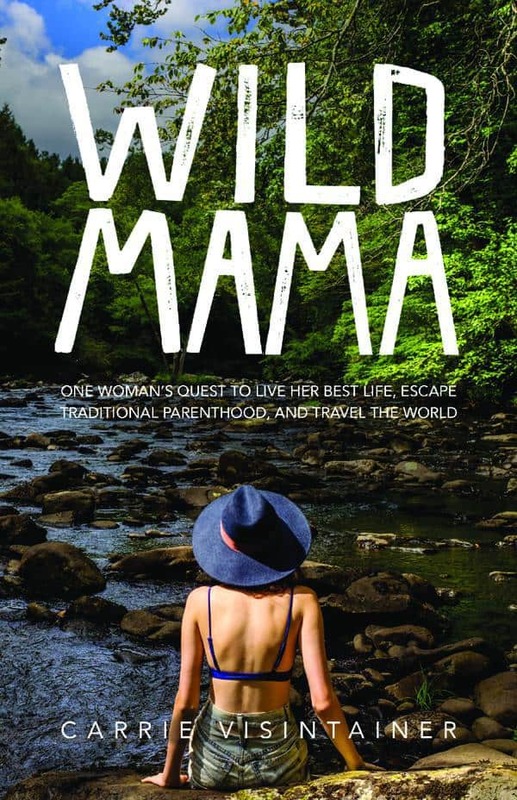 We are joined today by Ardeen Duckworth, who is a fellow outdoor enthusiast and mom and a fabulous book-reviewer. She also happens to be part of our 365 Mile Challenge group (not too late to join, by the way!) I think you’ll love this review and will join me in wanting to read the book right away! “Sure,” I replied, wondering exactly how much self-awareness an eight-year old could possibly have. When I was eight, I knew things like, “If you pull a Barbie’s boot off too hard, you can give yourself a black eye”. Important at the time, but not too pertinent in the decades that followed. “I have learned that I need to go outside for a very long time every day, or else I am a very grumpy person,” she announced. I was floored. I think I was about 28 before I realized the same thing about myself. And it’s true. 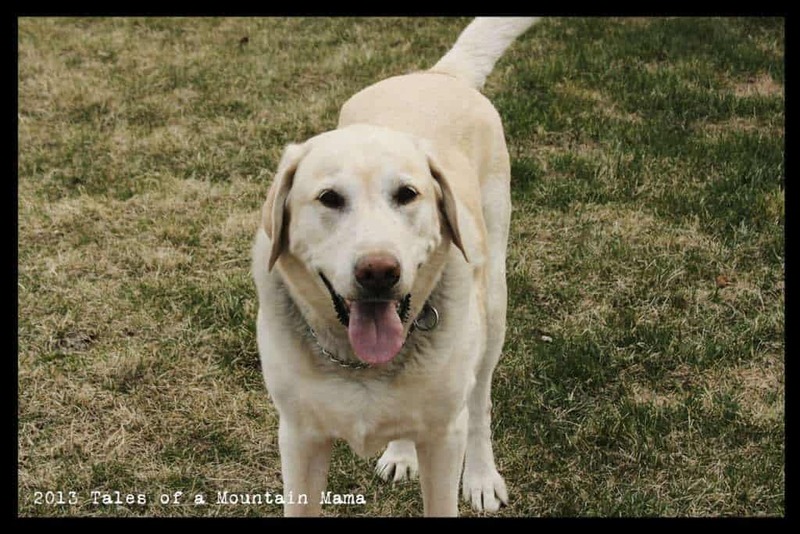 She is always up for a hike / ski day / camping or even just sitting outside and reading a book, and doesn’t seem to mind being hot or cold or wet (to a point, usually far past my own tolerance!). She, like almost every child I’ve ever met, is happier and more balanced when she spends a good part of the day outside. 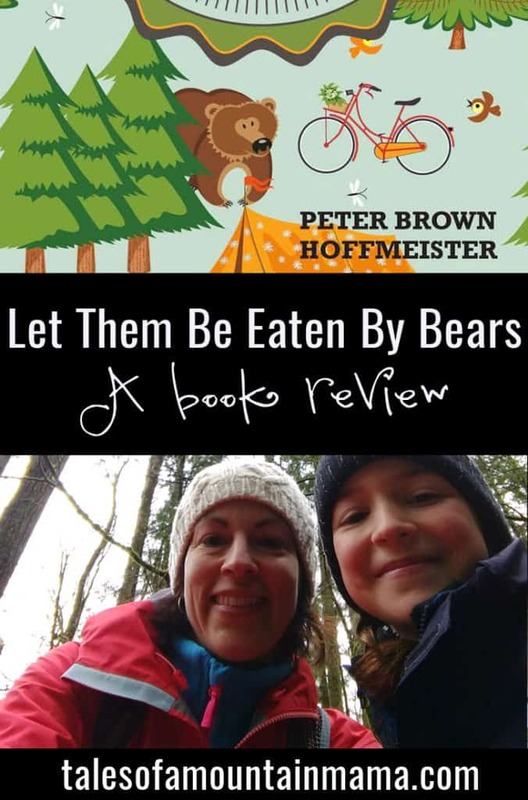 This is the premise of Peter Brown Hoffmeister’s book “Let Them be Eaten by Bears: A Fearless Guide to Taking our Kids into the Great Outdoors”. Kids need the outdoors. They always have and always will. The book is organized in chapters made up of short, titled sections, some no more than a couple sentences long. And I’ve gotta say, as a parent, that this is the best way ever to organize a book about parenting. You can read a whole complete section between the “Mom! Watch me do this!” and the epic wipeout that follows. The title, of course, is tongue in cheek. Hoffmeister is a high school outdoor education teacher, and if he’s ever had a student eaten by a bear, he does not disclose that fact. He is also a dad to two young girls, and an experienced adventurer on his own, as well. 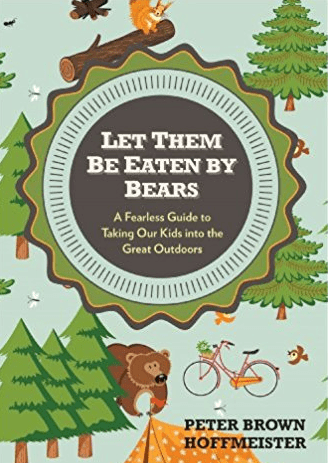 All of these facets come into play in the book, which sort of wanders between addressing why it’s beneficial to get kids outdoors, methods to start from scratch or increase your outdoor comfort levels, and stories from his outdoor program. 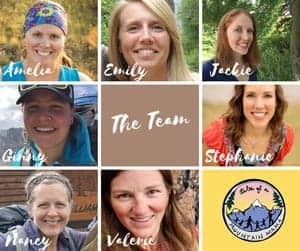 I suppose this increases the target audience, as new parents, parents of older kids, and people who are just outdoor advocates in general will all take something from it. Pretty much every other chapter in the book had me pounding the table beside me and shouting, “Yes! Yes, exactly!”. Okay, not in real life, but in my head that’s what was going on. Hoffmeister touches many parts of an outdoor oriented lifestyle , and also on things that might be holding someone back from getting out there and playing. A lot of the things he says are common sense (“start small, just get out there”, “if you don’t know what you’re doing, get someone to show you”), but sometimes we forget these things and need to be reminded. Plus, reading them in a book makes them legit. Reading that fear and excited anticipation can feel very much the same made a lightbulb go off for me, and explains why I think I’m scared of a lot of things but do them anyways. And then there is the chapter subtitled “Mantras”. And they are some good stuff. In fact, they are my favorite part of the book- wonderfully simple guidance that applies not just to getting kids outside, but to a lot of different parts of life. That’s all I’m going to say about that, you have to read the book to find out what they are! Live in the moment and don’t freak out if it’s not perfect. Nature sometimes forces you to live in the moment, as anyone who’s ever spent a rainy afternoon in a tent knows very well. Being truly present is such a struggle in our hyper-connected world, but there is such a freedom in seeing “No Service” on your phone screen. The trick for most of us is to pretend that more time is “No Service” time. Hoffmeister’s examples of kids naturally engaging in what is going on in the present and finding their own areas of interest are great reminders to anyone. And he includes a great family motto – “Perfect isn’t fun”. We as adults are the ones who have preconceived ideas about how a trip should go or what we should experience. The kids, who are living in each moment, probably don’t care if you reach the summit or not. They are just happy there are bugs to watch. “With young people, you will travel slowly” (p.101). I should probably get this tattooed onto the inside of my eyelids, as a constant reminder. “Slower means more observations, more time to think and look around, more time for discovery”. 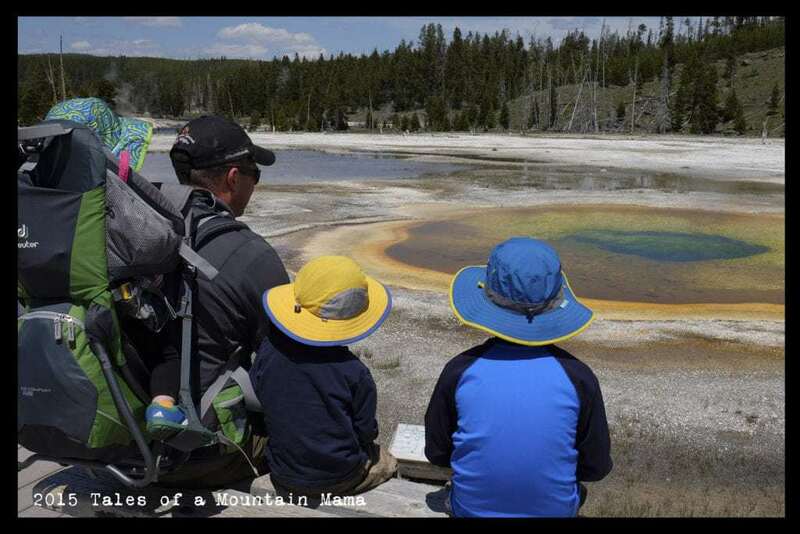 The things we gain by taking our kids into the outdoors are not gained only by the kids. 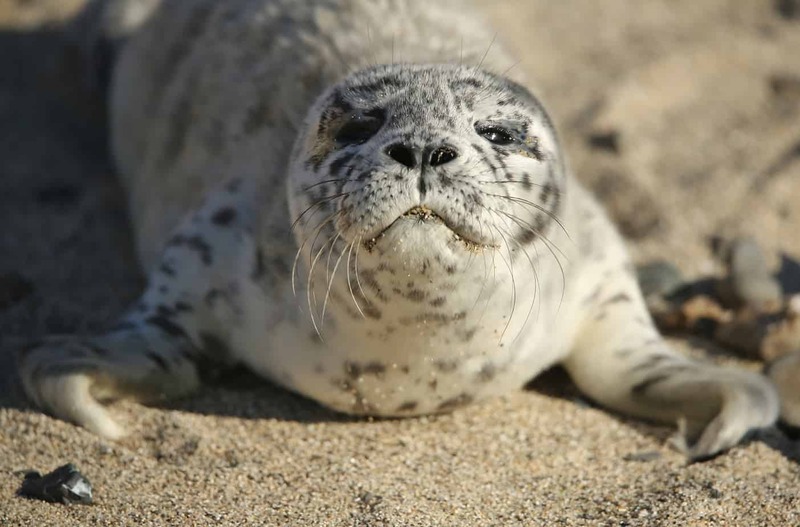 By slowing ourselves down (decrease goals by ¾, Hoffmeister suggests), we see so much more. Slow down, look around, and see the things you might normally miss… there’s probably a lot of them. Not all kids are lucky enough to have the freedom to explore and play outside. In Chapter 8 “Scrapes and Bruises are Just Childhood” Hoffmeister shares research on schools that have banned tag or removed recess, and how the attitudes of some parents reinforce these decisions. I was very bothered by this chapter, partly because I was reminded of a time when I chaperoned a field trip to a local suburban park for my son’s Grade 3 class. I was astonished at the number of wide eyes, summed up by a boy who said, “This is so cool. I’ve never been in the forest before!” We were on a paved path, surrounded by some trees… and parking lots, mowed grass, and lampposts. It wasn’t a forest in my mind, but to him it was wilderness. To sum up, I really liked the book. 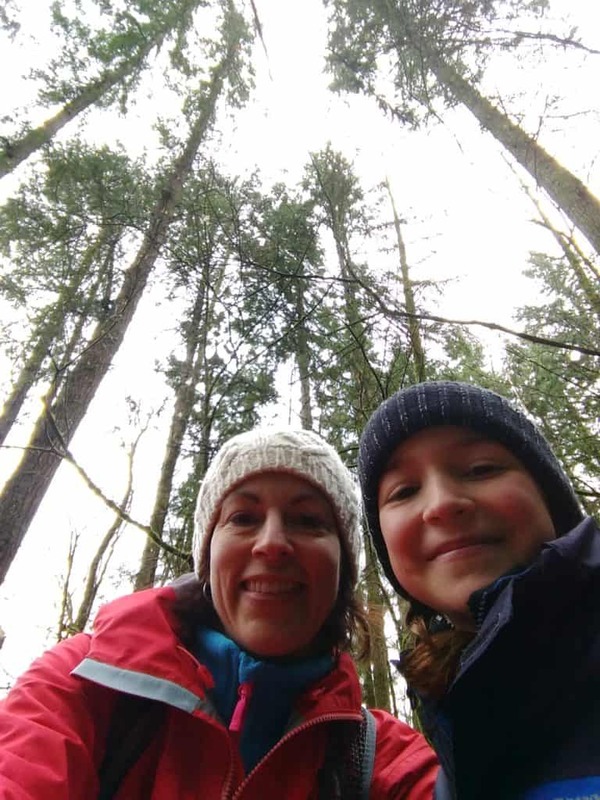 It probably was a bit of preaching to the choir, as I’m a big fan of kids in the outdoors. The muddier you are, the more fun you must have had, I believe. But I think almost anyone could take something positive from it . Not just parents, either. (That Mantras chapter again…!) It’s just good advice from a guy who wants everyone to have good times outside. And I don’t think it’s a spoiler to quote the last line in the book: “I don’t think I’ll ever do anything better than taking kids outside”. Well said, Mr. Hoffmeister, well said. Ardeen lives with her husband and two awesome kids near Vancouver, British Columbia. 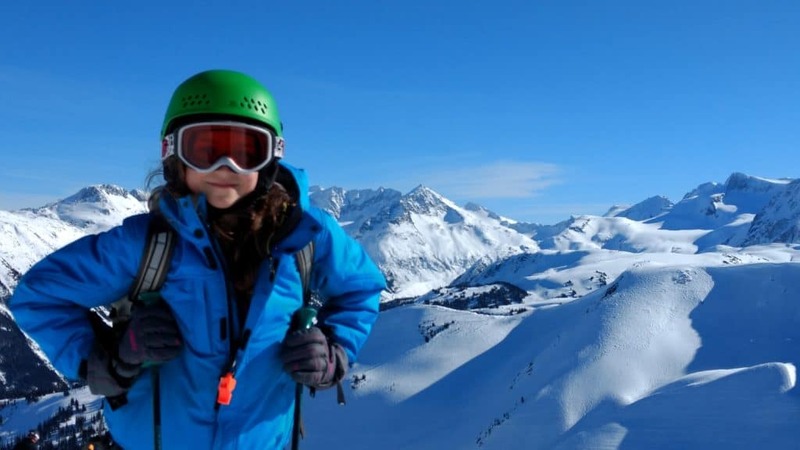 She loves to hike, bike, ski, paddle, backpack… and just love being outside! From when they were very young they’ve brought the kids along on adventures, and are always looking forward​ to the next one.